Sentence diagramming is an important skill, especially useful when reading classic texts. 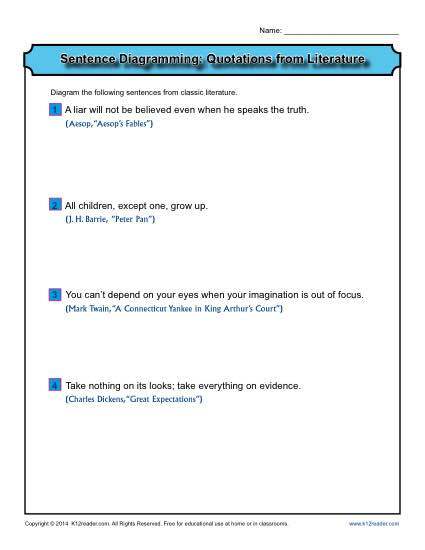 This worksheet features sentences from literature for your student to diagram. You may use it for Common Core Standards for 3rd grade Language, or for other grades as appropriate.